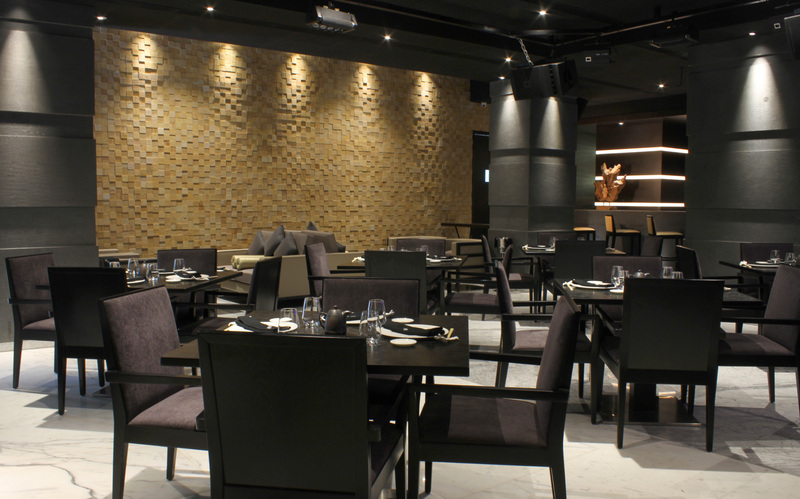 From Bahrain to Mumbai – Ruka, a Brand New Japanese Restaurant in Juhu! 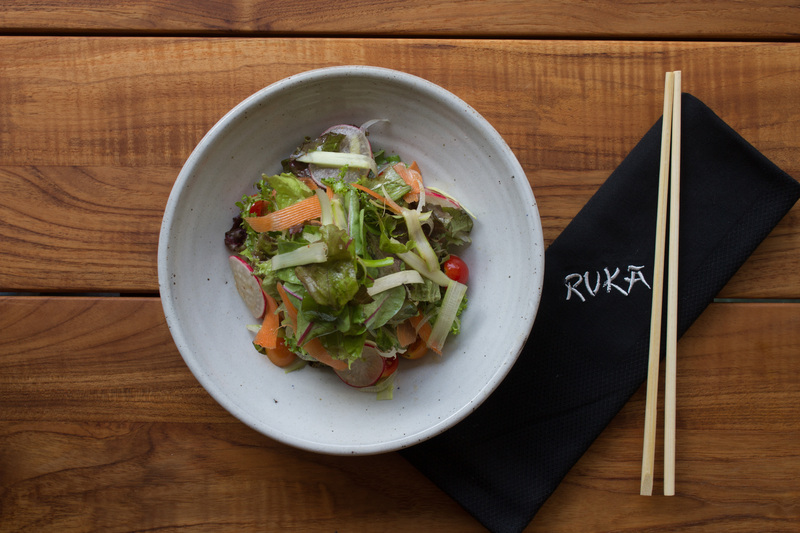 Freshly imported into Mumbai, from Bahrain, is the brand new Japanese Restaurant, Ruka. Located at the ground floor of one of Juhu’s famous landmark – the Ramee Guestline Hotel, Ruka serves as an ideal location for a light lunch, dinner or even a social get-together. Once you enter Ruka, you’d notice the calm yet warm ambiance with its luxe furniture, epitomizing a relaxed contemporary surrounding. 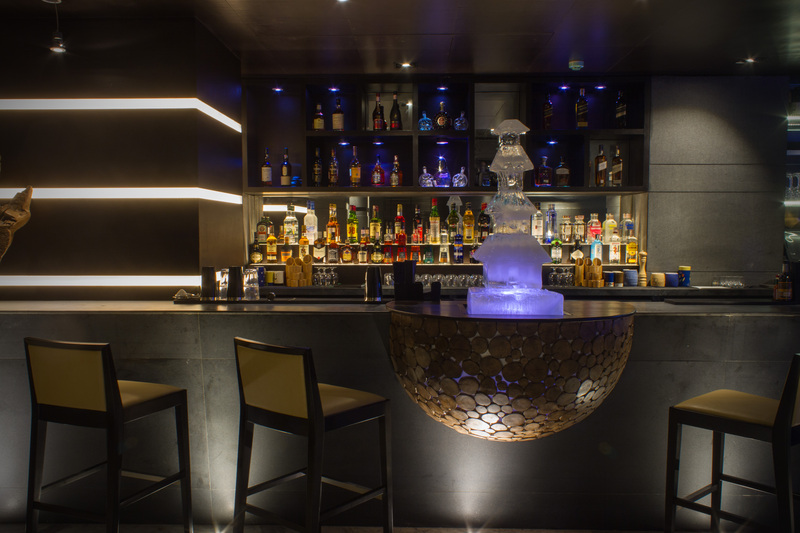 Guests can choose between casual bar area serving unique molecular cocktails, an intimate dining area or even opt to sit at the sushi bar. The furniture is a combination of high dining tables, chairs and lounge seats having the view of an open kitchen where the talented chefs create a distinct personality in every offering. The walls are laden with tanks containing fish, crabs and lobsters, which will actually be used in preparing meals, once the restaurant is fully functional. 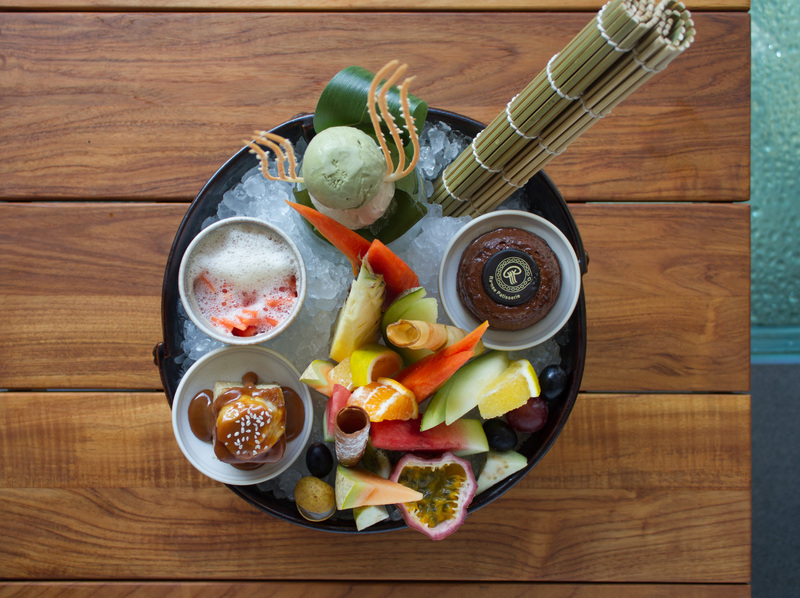 The food menu offers a compilation of unique yet traditional specialties delivering an unfamiliar yet memorable culinary experience filled with surprises. 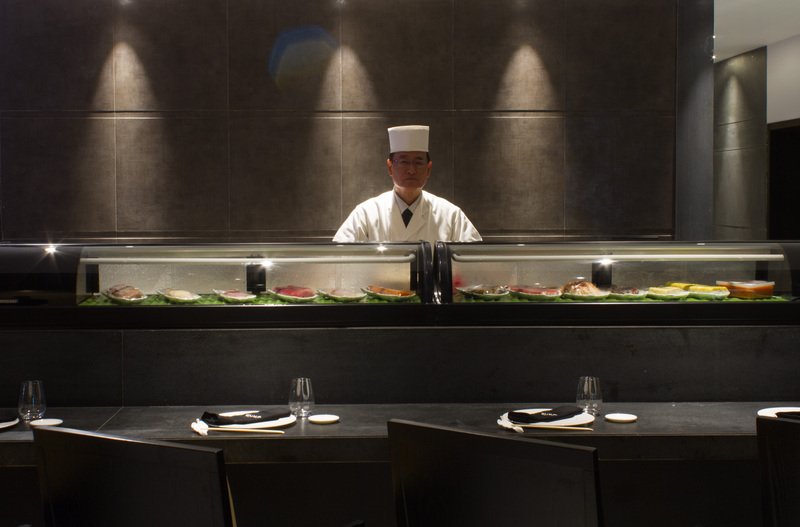 To keep the authenticity of the brand intact, Ruka imports a major part of its ingredients directly from Japan, including Chef Masato Toida who has over 43 years of experience, and he along with his team have come down to Mumbai to deliver liberated Japanese meals with skill and creativity. If you’re a sushi affinicado like me, you should definitely start your Japanese gastronomic journey from the sushi bar, like I did. With a variety of veg & non-vegetarian Sushis in the offering, this was definitely a good start to the meal. Next up was the Seasonal Mixed Salad – with asparagus, cucumber and maple shichimi dressing. I’m not much of a salad person, but this salad was different with the asparagus and the subtle flavors of the shichimi dressing. The salad along with the Steamed Soybeans was a good indication of what to expect next. Next was the Rock Shrimp Tempura – mini crispy shrimps with lime and chilli mayo. Seafood for me can never go wrong, and this for me hit all the right boxes – crispy, not too oily and shrimps cooked just right. I couldn’t help, but ask for a second serving. Next was the dish that I was eyeing on, right from the time I was handed over the menu – Crispy Prawn Tempura – with black fungus in a steamed rice noodle sheet. I was hoping that the Tempura shouldn’t be very oily, like it’s served in most of the Mumbai restaurants offering this dish. While Ruka did get the oil part right, I didn’t enjoy what they served as the steamed rice noodle sheet covering of the tempura was rock hard (I couldn’t fork the tempura), maybe a result of over-frying. While I wouldn’t really suggest giving this a miss, but would definitely recommend speaking to your server about not ‘over-frying’. After the Crispy Prawn Tempura, we were served Vegetable & Chive Gyoza – carrot, celery, lotus root and water chestnut, along with the Grilled Brined Chicken with Teriyaki Sauce – served with roasted scallions. This was followed by the Mushroon Hotpot Rice, Miso Truffle Butter, traditionally cooked and served in a Hotpot, like in Japan. I loved how the earthy-smoked flavors of the mushroom complemented the Miso Truffle Butter – a complete flavor riot and definitely a highlight for me from that evening. To go with your meal are a range of stylish signature molecular cocktails possessing, an showcasing elements of science and art with the use of gels, air foaming, dehydration, and layering with tools like vacuum sealers, blow torches, nitrogen guns and a lot more. All in all, with its impeccable & authentic cuisine, elaborate bar menu, opulent interiors and exquisite ambience, Ruka is definitely a welcoming addition to Mumbai’s fast changing food & nightlife scene. What a wonderful post you have written on this topic on waves.